As a pastor, teacher, healing minister, television host and best-selling author, Pastor Chris daily exudes an insatiable passion to reach the peoples of the world with God's manifested presence; a divine commission he has diligently focused on fulfilling for more than 30 years. 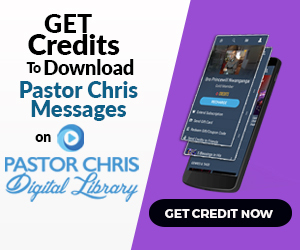 Pastor Chris is a prolific writer, and the best-selling author of the masterpiece “Rhapsody of Realities.”This book is the world’s Number 1 Daily Devotional, distributed monthly around the world in over 1,000 languages and with over One billion copies distributed so far, worldwide. These have held across several continents, in nations such the United States, South Africa, Ghana, Nigeria, the United Kingdom, Canada. 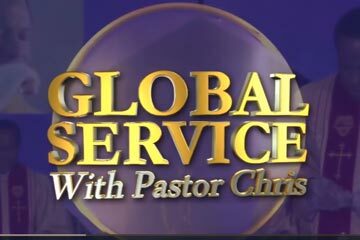 There are different kinds of meetings with Pastor Chris; some evangelical outreaches, some teaching and some healing meetings. Flagship meetings with Pastor Chris over the years have been titled 'Higher Life Conference', 'Night of Bliss' and more recently, 'An Evening with the Word'. These have held across several continents, in nations such as the United States, South Africa, Ghana, Nigeria, the United Kingdom, Canada. Thousands and indeed millions have gathered in each of these meeting, one of such which held in Nigeria and attended by over 3.5 million people in that one night!